Bir Rig Rescue--April 27-28, 2012 --El Reno, OK! Is a Non-profit Fire/Rescue Training Org. The mission of Midsouth Rescue Technologies is to develop and provide the highest quality fire, rescue, and public education training possible. To work in cooperation with all first responders and public education organizations, in an effort to save lives, and prevent injuries. When Midsouth Rescue Technologies was founded in 2004, our goal was to provide basic fire rescue training to small department that did not have the funding for proper training. That goal has never changed, though the training needs and demands nationwide have led us to where we are today. Since the development of our national fire prevention plan in the late 1970s, structural fires have taken a drastic drop. 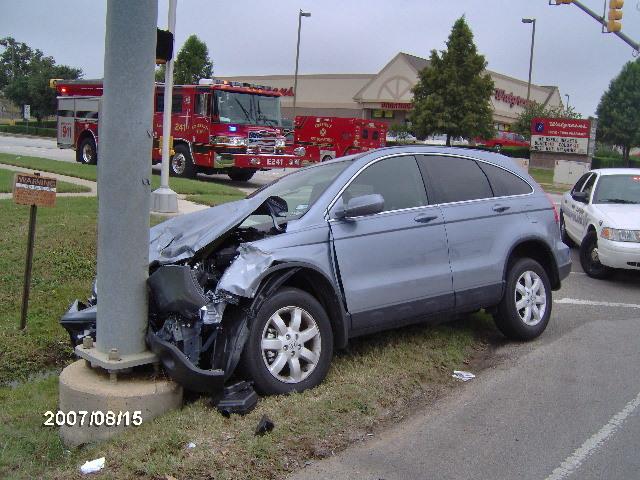 Today according to all national records; nationwide, fire departments are responding to six times as many auto accidents as they are structure fires. Yet we are finding that not only the small volunteer departments but, large metropolitan departments as well, do not have the proper training to deal with the constantly changing automotive construction and technologies of today’s vehicles. We hope to accomplish this with online studies, nationwide classes and events such as ExtricationFest! our annual extrication school and expo. It is human nature to fear the unknown, Through misunderstanding and misinformation hybrid vehicles have earned their spot as the dreaded monster of the rescue world. Down-loadable Manufacturers Emergency Response Guides (ERGs). Today's vehicles are the safest they have ever been. However; as automotive technologies increase, so do the problems, dangers and challenges for rescuers. Today we face an average of six airbags per vehicle as standard equipment, two of which are dual stage, along with options for as many as twelve per vehicle. These operate in conjunction with seat position sensors, occupant position sensors, weight sensors, seat belt tensioners, seat belt tension sensors, and on and on, all of which present their own unique challenge for the rescuer. In our studies, we hope to raise an awareness of the many new technologies found in today's vehicles, the dangers they present in vehicle extrication, and the desperate need for a change in our training. Airbag controls and sensors and how they affect our rescue operations. 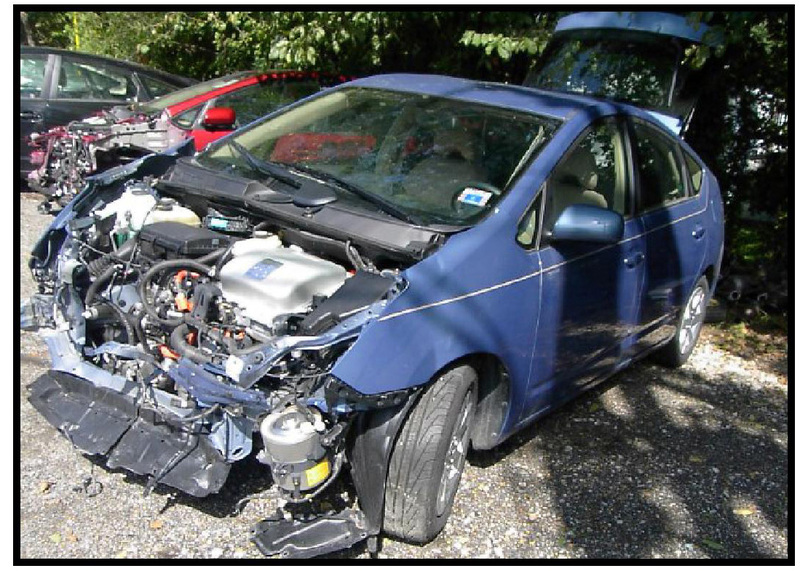 Auto manufacturers have spent billions of dollars making today's vehicles the safest they have ever been and that they are, with airbag systems, cushioned bumpers, crumple zones and boron steel post, they are literally built to wreck, but today there is not one built to burn. Car fires use to be the firefighters' fun and games, but today's vehicle fires are some of the most dangerous calls we can make. 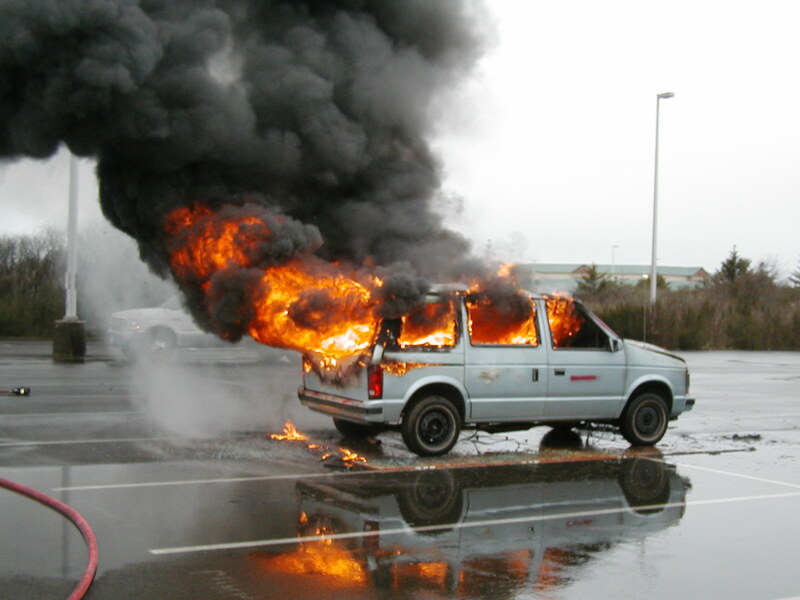 NFPA reports show that one out of every four fires that we respond to is a vehicle fire. With 2007 having the least vehicle fires in history, we reported 278,000 car fires. In 1973 we developed an approach to a vehicle fire that would protect firefighters from the dangers of a bump strut explosion. This approach is still being taught nationwide, even in our largest academies and ironically 95% of the vehicles today are not equipped with bumper struts. Today's vehicle fires consist of hood struts exploding and penetrating firefighters legs and abdomens, airbag inflators blowing out through the roofs and exploding into shrapnel, plastic gas tanks melting and dumping their hot load, right at the firefighter's feet and unexpected molten magnesium splattering back in their face. But, the worst danger of all, is that because of a lack of changes in our training, we are teaching them that they are supposed to be in the path of these, to fight a vehicle fire. In the vehicle fire section you will find a complete in-depth study of each of these components. Sections on each of the hazards involved in today's vehicle fires, along with pictures, videos and case histories showing these dangers. Sections on the proper handling of vehicle fire scenes and the unbreakable rules of vehicle firefighting. Sections on making a safe aggressive approach to today's vehicle fires and their dangers. Over the passed four years Midsouth Rescue as developed a set of new aggressive approaches to a burning car. Using these approaches, we are able to mark thirty three danger zones on one vehicle and never put a firefighter in harms way. 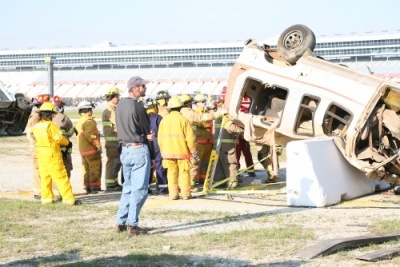 These are not the only safe approaches but, they can be used as a foundation for developing a desperately needed change in our vehicle fire training nationwide. An order form for this CD is posted on the Vehicle Fires and New Technology navigation page. In an effort to cut the weight of today's vehicles, manufacturers are using a lot of magnesium. This is a very strong, yet light weight metal, weighing only 1/3 the weight of aluminum. Unlike most metals, this metal burns and is very hard to extinguish. Magnesium fires have a very violent reaction to water, putting firefighters in much danger. We have always known about magnesium in the fire service, but most firefighters only relate magnesium to the old VW engine when it comes vehicles. Today we never know where to expect it, we find it hidden under dashes, on the engine and even under the vehicle on suspension parts. A few of the later model cars have as much as 45% of their engine made of magnesium. In this site; you will find a study of magnesium fires, their dangers, how to deal with them and the agents used to extinguish magnesium. We are extremely proud to partner with the Texas Engineering Extension Service (TEEX) in bring you the third year of ExtricationFest! This is our annual three day event featuring; three levels of; Auto Extrication, Big Rig Rescue, Hybrid Vehicle Anatomy and Rescue, Airbag and Supplemental Restraint System Technology and Patient Care, classes along with an Expo and Live Demo Area, all in one location. This is an event you don’t want to miss, 2008 being only our second year, we had twenty two states and two countries represented. All levels are both classroom and hands-on. 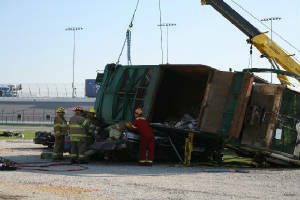 Billy is the co-author of Big Rig Rescue a book teaching heavy truck anatomy and extrication. This class is offered each year during ExtricationFest! and we are now offering the class semi annually in Ft Worth, Tx. See upcoming events page for dates.